You want the best Jay Rock tour guide and information for the The Big Redemption tour. We have full Jay Rock concert details including The Big Redemption tour setlist, dates, VIP packages, merchandise, live videos and more. For the best Jay Rock tickets, we offer official and direct links to both Ticketmaster and SeatGeek. Follow us on Twitter for up to the minute concert news and information! June 26th: Fresh off the success of his latest album and single “WIN”, Jay Rock has announced The Big Redemption tour. Jay Rock is a rap artist that is apart of the TDE label group alongside Kendrick Lamar, SZA, and Schoolboy Q. He just recently released his third album, Redemption. It contains the single "WIN", which features ad-libs from Kendrick Lamar and is arguably his most successful single of all time. Earlier this year, Jay Rock also featured on the track "King's Dead" off the Black Panther original soundtrack, which Kendrick Lamar curated and the TDE label appeared on. Jay Rock also appeared on the track "Money Trees" off Kendrick's debut album. Current Jay Rock tour dates and locations are listed below! Underneath the tour dates, check out the Jay Rock setlist and concert videos, photos, and media. All Jay Rock ticket links offered on our site, both official through Ticketmaster and resale through SeatGeek are 100% guaranteed and legitimate. Guarantee your spot for this concert today. No tour dates for Jay Rock. Click here to puchase Jay Rock tour tickets directly through Ticketmaster.com. The Jay Rock tour setlist for The Big Redemption is not available yet! Check out the Jay Rock setlist for the recent TDE Championship tour he appeared in with the rest of his label mates. We expect the headlining tour setlist to be greatly expanded with 10+ more songs. Take a look at the latest tour news or Tickets section for great information on the Jay Rock tour. Grab a presale code below and then click here to view the Jay Rock Ticketmaster page to buy tickets. We will post specific Jay Rock presale codes as soon as we know them! Click here to puchase Jay Rock merch for the upcoming tour through Redbubble, the top source for artist apparel and merchandise. 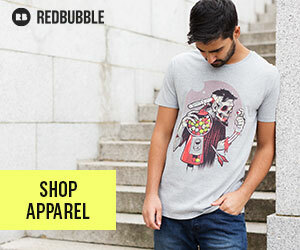 Redbubble is a platform where artists can sell their creations to fans. They contain millions of designs that can be printed on apparel, phone cases, wall art, home decor, stationary, bags, and other products. If you choose to buy any Jay Rock apparel, Redbubble compensates us and you help keep Stadium Help going. Have a look at what is available via the link above. Did we miss anything in our Jay Rock tour guide? Make sure to come back and view the updated Jay Rock setlist for the The Big Redemption tour if it has not begun let. Comment below if you have any further information to share! Discuss the Jay Rock The Big Redemption tour below!